Welcome to Sunburst World. This brilliant album was produced by Paul Brown and comprises tracks from the artist&apos;s recent period of guitar works. The music is freshly inspired, soulful and gutsy, whilst also reverential and evocative. 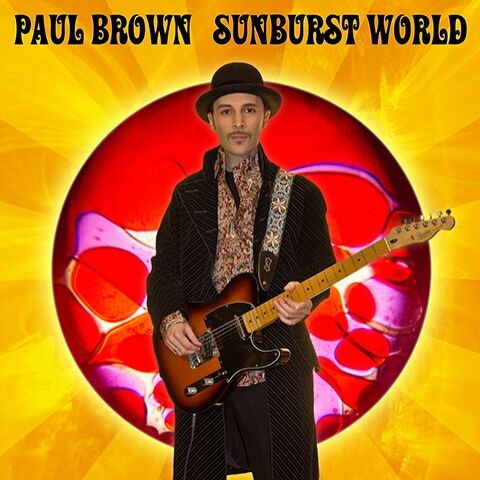 The vibrant sonic landscape on Sunburst World; featuring Paul&apos;s finely honed talents as a multi-instrumentalist, is composed entirely of electric guitar, bass and drum machines. Paul plays impassioned improvisations that groove and flow through moments of spontaneous exploration and insight. The subsequent production is largely based upon the 1st or 2nd takes of guitars and bass, recorded in immediate succession. The 9 tracks range in vibe from hard blues-funk on Killaloe Sunrise and Fuzzpsychedelia, to soulful slow jams like Blue and Woman and introspective jazz-funk as on Light of our World.